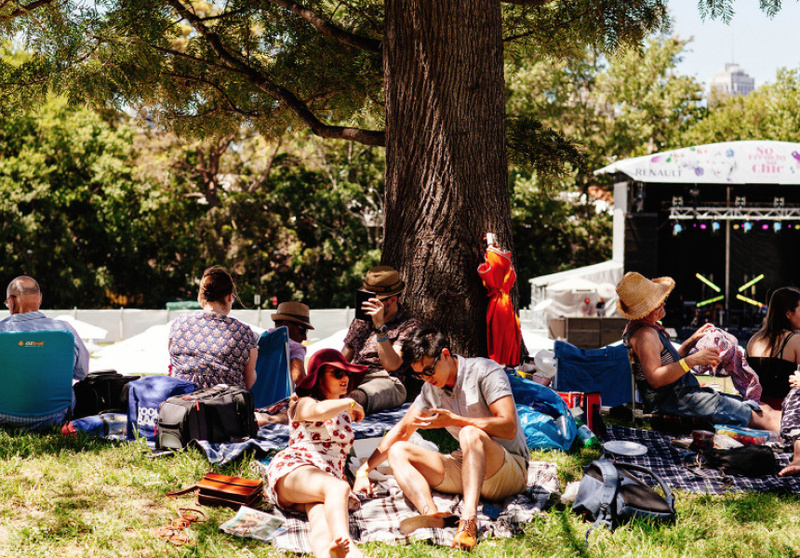 Take the perfect picnic with you to So Frenchy So Chic this Sunday. Here are three ideas. 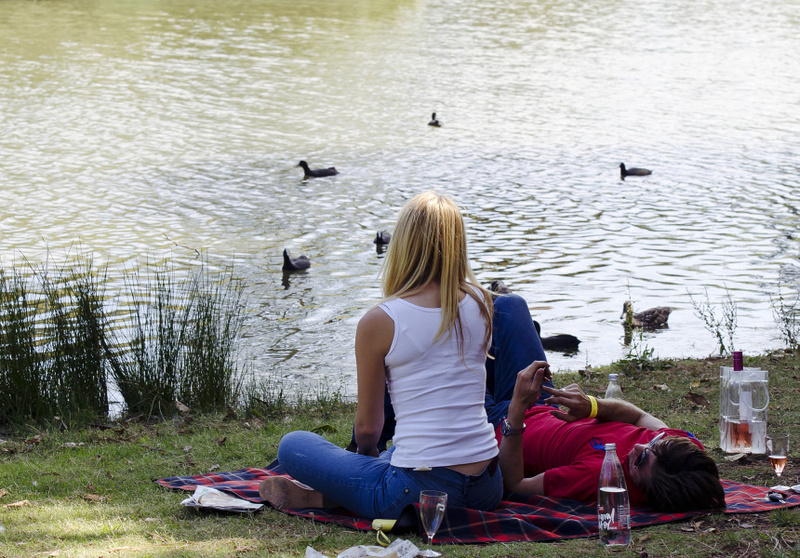 It’s picnic season and there are plenty of great spots in this city. We’re especially excited for So Frenchy So Chic. It will provide champagne and French cocktails, but you’re welcome you to bring your own hamper. Here’s some tips on how to prepare three styles of picnics: for people who like to cook; for those who can’t be bothered to do much, but still want to eat well; and for those with kids. This is one for the person who loves to cook. Food and drink: When you’re making the food yourself, aim for dishes that can be portioned up before you go, are easy to eat without cutlery and that can handle transportation without spoiling. “The less you have to do when you’re actually at the picnic the better, so make a whole cake, but cut it before you go,” says Thomas. “We also like to do slices like brownie or caramel shortbread.” Simamora recommends cold roast chicken. “You can make your own aioli, take some really good bread and do an open-face caesar with iceberg lettuce,” she suggests. “I like to make my own marinated olives for nibbles, and individual fruit tarts for each person for dessert. If the focus is on the food, keep the drinks simple. “We take some sparkling water with elderflower cordial,” says Thomas. If you don’t have time to cook, but you still want everything to look great, here’s how to pull together an inexpensive hamper, quickly. The look: Avoiding cheap plastic picnicware will instantly lift your picnic game, but you don’t need to purchase a top-end hamper. It’s as simple as bringing some real cutlery and plates from home. “Glasses are nicer than paper cups,” says Thomas, adding that glass tumblers are perfect and lift the whole tone of a picnic. For fruit, she suggests buying in-season produce that is both better quality and cheaper. Thomas and Simamora both suggest that good-quality bread is invaluable for filling a hamper. “Bread is so important. We like to get ours from the Organic Bread Bar,” says Thomas. “It’s delicious and very soft, so you can pull it apart with your hands, so you don’t need a bread knife. 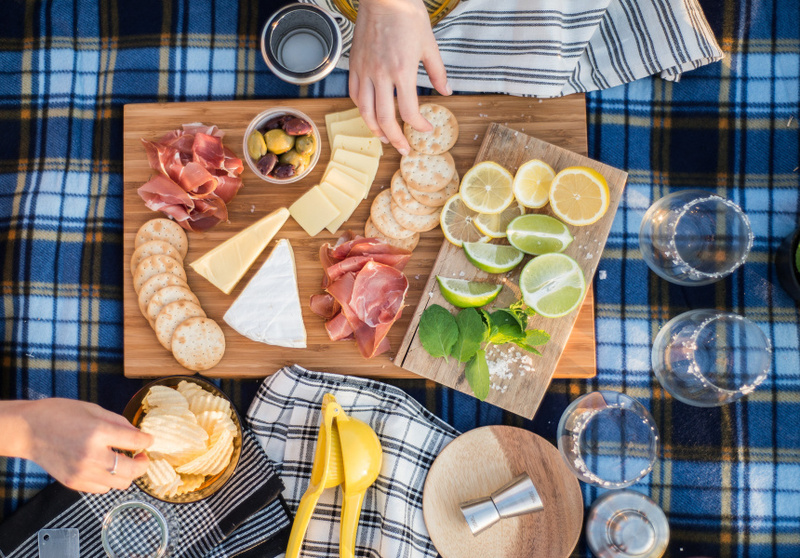 A picnic with just cheese, cold meats, great bread and seasonal fruit is simple and perfect.” Simamora adds that a little bottle of good Australian extra virgin olive oil can go a long way too, acting as everything from a salad dressing to bread dip. Picnics with little ones come pre-loaded with joy, so play to that with simple food and added party details to fuel their wonder. The look: With kids you can go over-the-top with summer colours and a party feel. Thomas says that for her, picnics already evoke a sense of childhood nostalgia, so she recommends working with that. Packing a bright rug that’s big enough for everyone is a great place to start and creates a great canvas for games. “The set-up is important with kids,” says Simamora. “I’d do colourful plates and make it feel like a party. Even some balloons if you can manage it.” There’re plenty of gorgeous, bright and recyclable party plates and napkins that are readily available, they are a convenient way to limit cleaning up without compromising on style. The food and drink: To keep it kid friendly, finger food is best. “Fruit kebabs with a marshmallow on top are great fun,” suggests Simamora. “Cheeky finger sandwiches like peanut butter and jam are easy and work really well, and individual servings of cupcakes, brownies or oversized cookies are good, too. Try to go for things that won’t melt or get too sticky.” If you want to include something that works for the adults too, Simamora’s trick is savoury popcorn pre-dressed with butter, salt and a little paprika. When it comes to drinks, juice boxes are convenient and avoid mess, but make sure you have access to plenty of water (and cups) too. “Having the right things to sit on and drink from makes all the difference. And wet wipes – I hate getting sticky fingers,” says Thomas. Don’t forget bin bags, sunscreen and insect repellent.